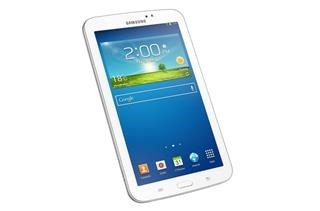 User manual of the unannounced Samsung Galaxy Tab 3 Lite has been leaked and thanks to that, we now have its specs. A polish retailer has already started taking orders of the Tab 3 Lite SM-T110 model, which is a Wi-Fi only variant. Asking price is USD 165. Its 3G model, called the SM-T111 will cost USD 263. Android 4.2 Jelly Bean, a 7-inch display with 600 x 1024 pixels, 2MP rear camera, dual-core 1.2GHz Marvell PXA986 processor with Vivante GC1000 GPU, 1GB of RAM, 8GB of internal memory, MicroSD card support, and a 3,600 mAh battery. Galaxy Tab 3 Lite measures 193 x 117 x 9.7 mm and weighs 310 grams. We have been told that Samsung is on the verge of formally announcing this Tab 3 Lite, which will clarify things further.